In 2004, I was asked to show computer resources to parents of preschoolers. I wanted to easily present free websites to 25+ parents so decided to create a one-page website with a large number of links. After several snow days, the site was created. 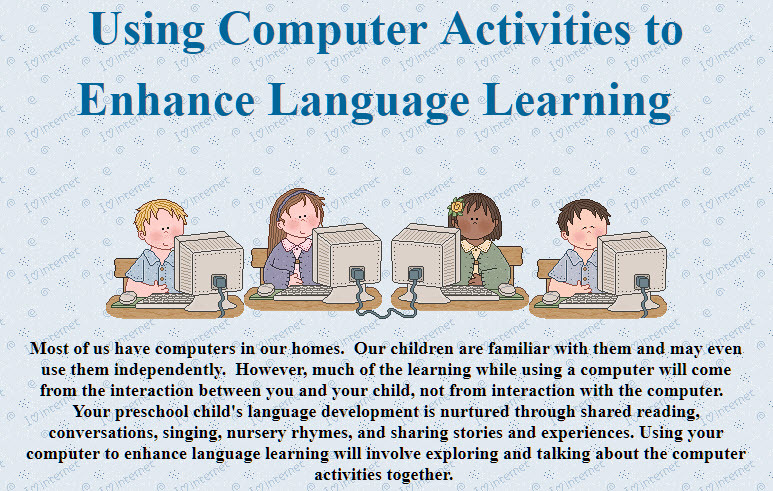 Using Computer Activities to Enhance Language Learning contained over 250 links leading to hundreds of activities designed for young children. The presentation to the parents went well, but I was amazed how news of the site spread and how often it was used. One of my colleagues remarked that my site and Pat Mervine's Speaking of Speech were the only websites by SLPs she found when she began working in 2005. I faithfully updated the site at least once yearly, adding links and fixing or removing broken links. A second page, Six Weeks of Summer - Interactive Speech and Language Practice Activities, was added in 2013. Last December, the company running the site removed it along with thousands of others due to security issues. Before the site went down, hundreds of thousands had viewed the page. A few weeks ago, it surprisingly reappeared. At first, I thought I would revive it. However, both pages need to be updated and should probably be moved from the genealogy site. After spending time on the site, I realized it is no longer relevant. Google can easily find websites and activities by topic. The explosion of SLPs on Instagram, Facebook, Pinterest, Teachers Pay Teachers, and those with blogs far exceed what I can add to my tired old site. If you haven't visited my website, you will find it, for a few more weeks, at this link.